Plitvice Lakes National Park, a World Heritage Site, showcases 16 crystalline lakes connected by waterfalls. On the 24th (Fri), explore the activities along The Upper Lakes, look for all kinds of wild species at Rastoke, get great views at Bablja Kula, then appreciate the extensive heritage of Narodni trg u Zadru, then make a trip to Sea Gate (Morska vrata), and finally take in the spiritual surroundings of St. Chrysogonus Church. For traveler tips, maps, ratings, and tourist information, use the Plitvice Lakes National Park trip maker website . Zadar to Plitvice Lakes National Park is an approximately 2-hour bus ride. You can also drive. Wrap up your sightseeing on the 25th (Sat) early enough to drive to Medjugorje. Međugorje, or Medjugorje, is a town located in the Herzegovina region of Bosnia and Herzegovina, around 25km southwest of Mostar and close to the border of Croatia. Kick off your visit on the 25th (Sat): take your sightseeing to a higher altitude at Apparition Hill, take a stroll through The historic urban site of Pocitelj, then admire the sheer force of Kravica, and finally contemplate in the serene atmosphere at Medjugorje. For ratings, other places to visit, where to stay, and more tourist information, read our Medjugorje online trip builder . Traveling by car from Plitvice Lakes National Park to Medjugorje takes 4.5 hours. Alternatively, you can do a combination of taxi, train, bus, and car; or take a bus. In May, plan for daily highs up to 28°C, and evening lows to 13°C. Wrap up your sightseeing on the 25th (Sat) to allow time to drive to Zadar. Situated along the Adriatic Sea, Zadar preserves a medieval old town that is entirely contained on a peninsula. 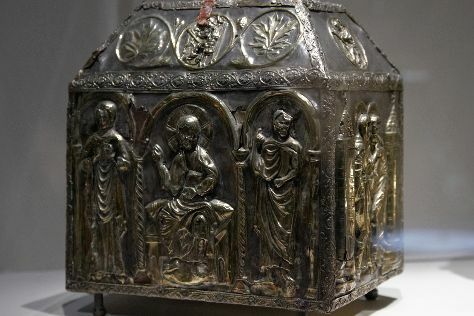 Permanent Exhibition of Religion Art has been added to your itinerary. To find out how to plan a trip to Zadar, use our trip itinerary maker. Drive from Medjugorje to Zadar in 3 hours. Alternatively, you can take a bus; or do a combination of bus and train. In May, daytime highs in Zadar are 26°C, while nighttime lows are 12°C. 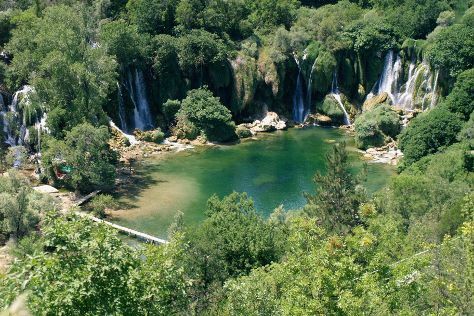 On the 26th (Sun), you'll have the morning to explore before heading off to Krka National Park. On the 26th (Sun), admire the sheer force of Sradinski Buk and then explore the striking landscape of Plitvice Lakes National Park. On your second day here, take in the dramatic scenery at Manojlovac waterfall, then explore the ancient world of Knin Fortress, then contemplate the long history of Burnum - principum, and finally take in the spiritual surroundings of Visovac Monastery. 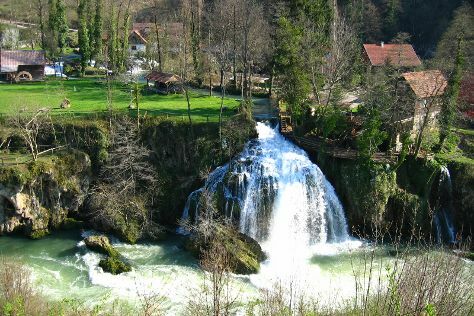 For photos, where to stay, more things to do, and tourist information, go to the Krka National Park tour itinerary maker site . Traveling by car from Zadar to Krka National Park takes 1.5 hours. Alternatively, you can take a bus; or take a bus. In May, plan for daily highs up to 26°C, and evening lows to 15°C. Cap off your sightseeing on the 27th (Mon) early enough to travel to Kornati Islands National Park. On the 28th (Tue), head off the coast to Kornati National Park. Here are some ideas for day two: make a trip to Fortress of Tureta and then pause for some serene contemplation at Church of Our Lady of Tarac. To see more things to do, maps, photos, and more tourist information, refer to the Kornati Islands National Park sightseeing planning tool . Use the Route module to find suitable travel options from Krka National Park to Kornati Islands National Park. Traveling from Krka National Park in May, plan for a bit cooler nights in Kornati Islands National Park, with lows around 11°C. On the 30th (Thu), you're off tohome.